November 1st means something really special to me. It’s the beginning of my birthday month. That’s right! My actual birthday is on November 10th and truth be told… I share the date with my husband. Yes, we BOTH were born on the same day. What are the odds?! I’ve joked in the past that my birthday has always felt more like Christmas because I shared it with Bill. I guess that’s because I typically spend the week prior to the big day planning a celebration for someone else. I mean, love him… so it’s OK. But as I’ve aged, my thoughts have sort of shifted. Maybe I don’t want to share anymore? Let me break down how our celebrations usually pan out. Typically, we each pick a restaurant to take the kids to during the week. Bill normally picks a trendy and new locale, while I always lean hard on Benihana. What can I say? I like hibachi. Then the kids like to do something special for us as a group. So, that adds on another day of fun. Of course, our parents jump in and each take a birthday celebration day. Before we know it, we have something going on every few days! After so many years of this, I decided it would be easier to claim November as my birthday month because then I could squeeze in all our usual celebrations PLUS opt in for a few more surprises along the way. 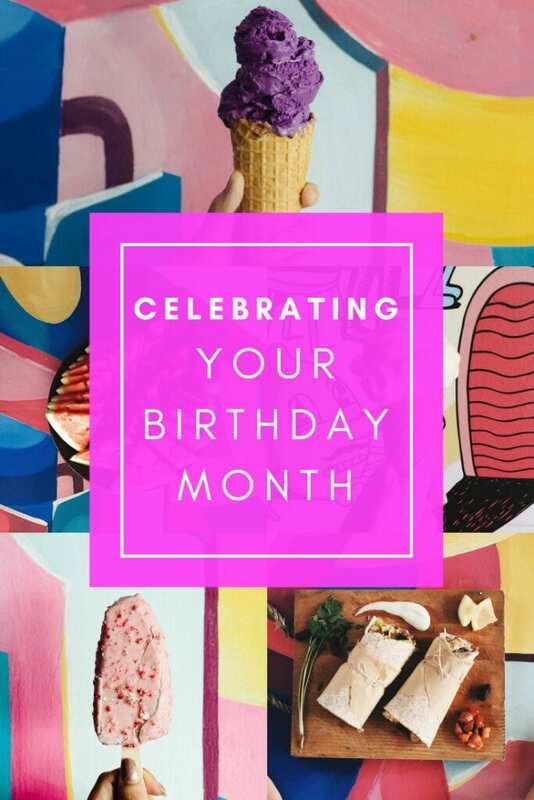 Do you celebrate your birthday month? If not, you need to start this YEAR! There are plenty of ways you can get the ball rolling. It doesn’t have to be expensive either. 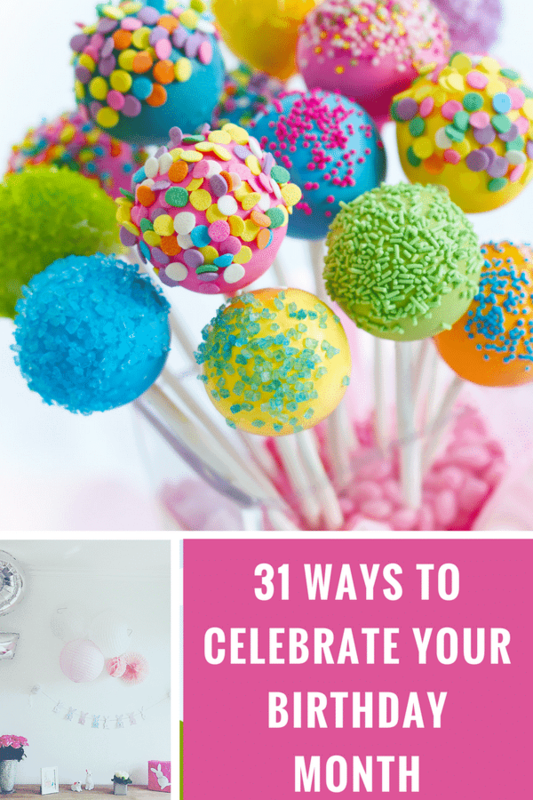 Just think of little treats that you can indulge in to make your birthday month feel a little bit more special. I’m going to give you 31 ideas even though your particular birthday month might have less days in it. Take what you want from the list and make it your own! Saturday freebie – up to you! That’s it! My official birthday month list! Do you have anything else you’d like to share? Would love to hear. Like I said, today marks the first day of my birthday month and I am starting from the top! Or actually – maybe I should start from the bottom. My eyebrows are begging for a waxing. LOL!